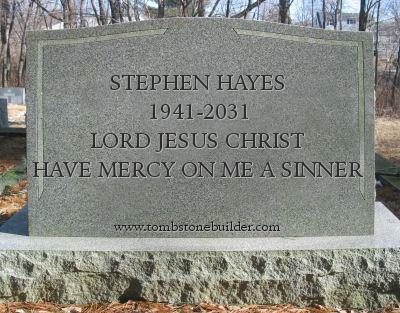 If you’re feeling in a macabre mood, you can while away a minute or two by designing your own grave stone with the Custom Tombstone Maker. Hat-tip to Randy Seaver, who offered this suggestion on his blog. It does seem to be a bit like Twitter, though, with a limited number of characters, so perhaps one needs to employ the skills of inveterate tweeters and SMS addicts and use abbrvns. When writing this my wandering mind began to wonder whether Americans spelt macabre differently, as macaber, perhaps, as happens with sceptre, spectre etc. In works of art, macabre is the quality of having a grim or ghastly atmosphere. Macabre works emphasize the details and symbols of death. Authors such as H. P. Lovecraft and Edgar Allan Poe used macabre atmosphere in their works. I’ve been adding pictures some of our Sandercock and Growdon gravestones to the Find A Grave web site. We visited Cardinham in 2005, and took several photos of gravestones, and Find A Grave seemed to be a good way of sharing them. 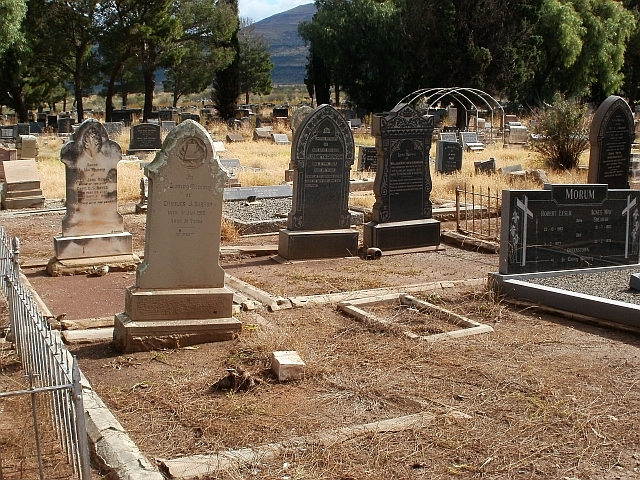 If you have any photos of gravestones, you might like to share them on Find A Grave too. There are other Sandercock families from other parts of Cornwall, but we have have found no links to them (yet). There are also Growden families from the nearby parishes of Warleggan and St Neot, but we have found no links to them either. 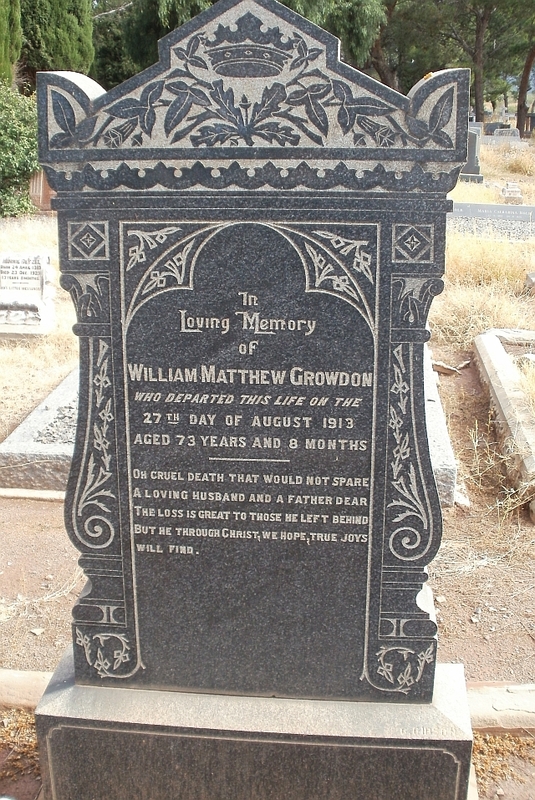 Having just written a blog post about my great grandfather, William Matthew Growdon (or Growden), it seems appropriate to include a closer view of his tombstone in Queenstown Cemetery. 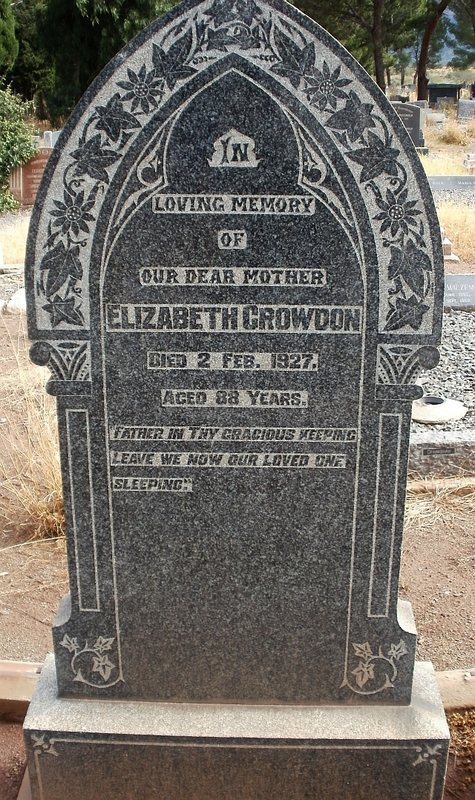 His wife Elizabeth Growdon (born Greenaway) died some 14 years later, and was buried next to him. She was born in St Breward, Cornwall. 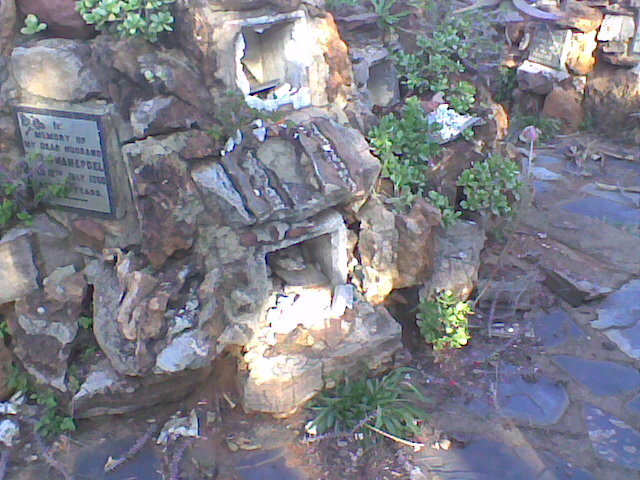 Her brother William Greenaway also came to South Africa. 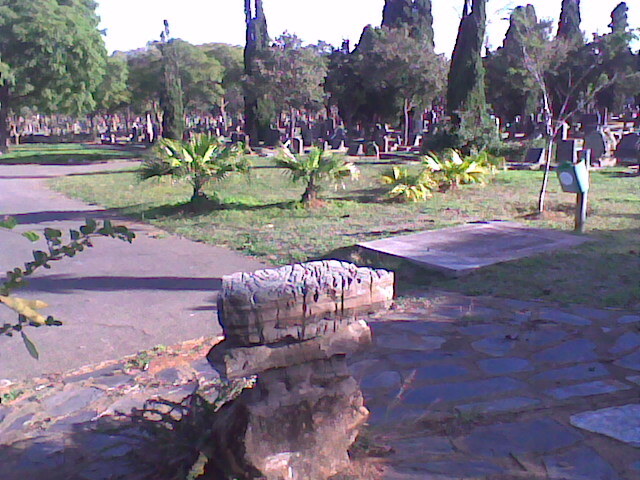 When we first visited the cemetery in 1975, we found the graves quite easily. We took black & white photos then. In 2011 we visited again, and had some difficulty in finding them. Memory seems to play strange tricks. 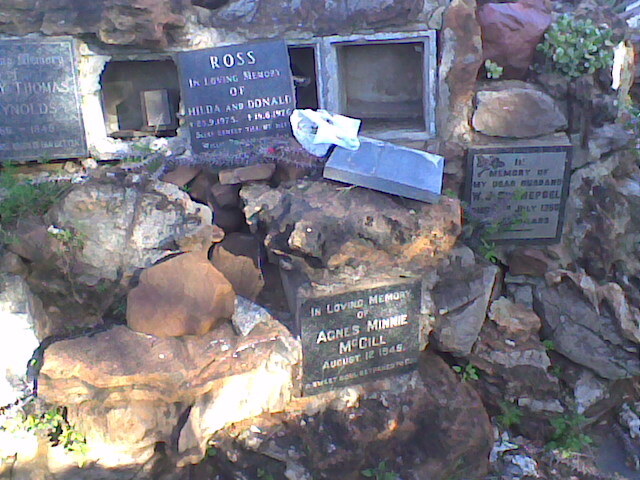 We took a number of colour photos this time, and also noticed that several of the graves nearby had been vandalised. We took some photos to show the graves in relation to surrounding graves, to make them easier to find next time (if there is a next time). 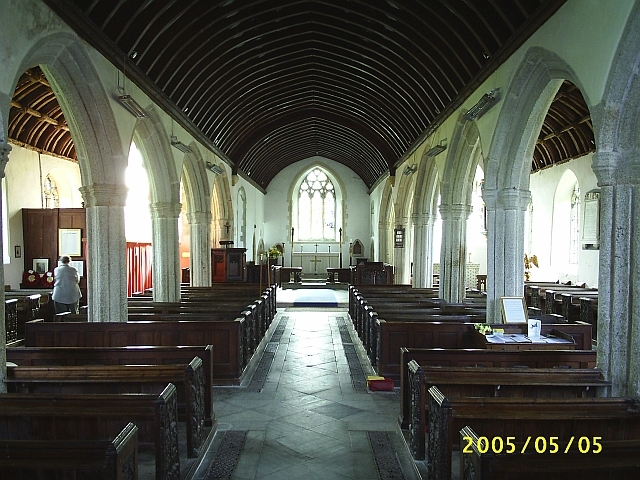 Three of the bells date from the seventeeth century, the earliest (1623) bears the name of Adrian Norman, parson, Sand\ford Tucker and John Stooke, churchwardens. Two more (1676 and 1684) were given by John Stooke, son of the last, and already referred to (Stooke monument). These three are Pennington bells, from the Exeter foundry of that name. John Stooke (1628-1696) was the elder brother of my 7-great grandfather Edward Stooke (1631-1699), and they were among the nine children of John Stooke (1592-1642) and Grace Smallridge (d. 1645). The younger John married Mary Apter, and they had no children. Edward, my ancestor, married Mary Satterley, and their son Edward married Mary Furlong. The Stooke family lived for several generations in the Teign valley in Devon, mainly at Trusham and the nearby village of Ashton. There is more on this family on our family Wiki pages. If you are related to this family, please visit the family Wiki and contribute something to the story there. Anecdotes and other material about the descendants of William and Mary Sandercock are welcome. Charlotte Sandercock, wife of Richard Sandercock, and daughter of George and Catherine Riddle. 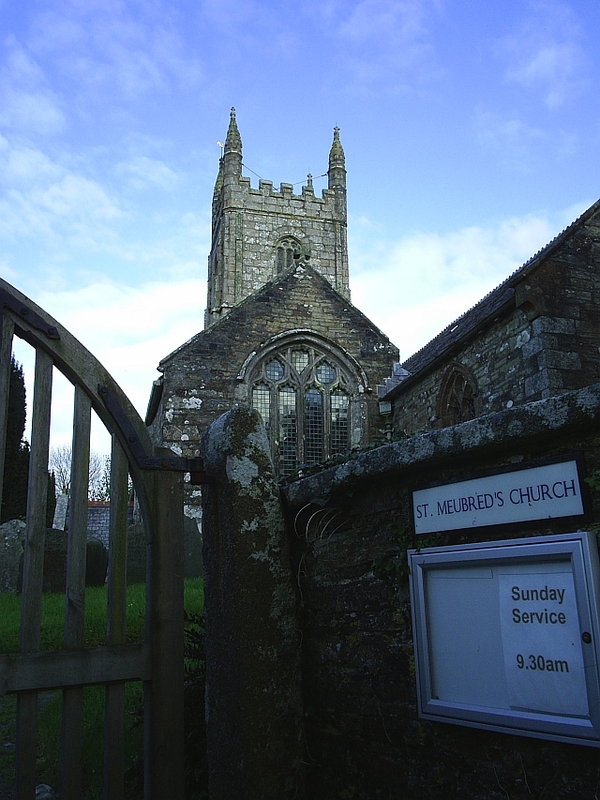 We’re not sure if they are related to us, but we do have related Sandercocks who lived in Cardinham.